I am so looking forward to Easter. (18th April to 21st April) In our house we always had a egg hunt and to this day my Dad still gets us all personalised eggs from Thorntons. Everyone has their own traditions, but I thought I would pick out my favourite things that you might find interesting. When I am lacking in ideas about crafts or fun things to do well Martha Stewarts website is my go to place. 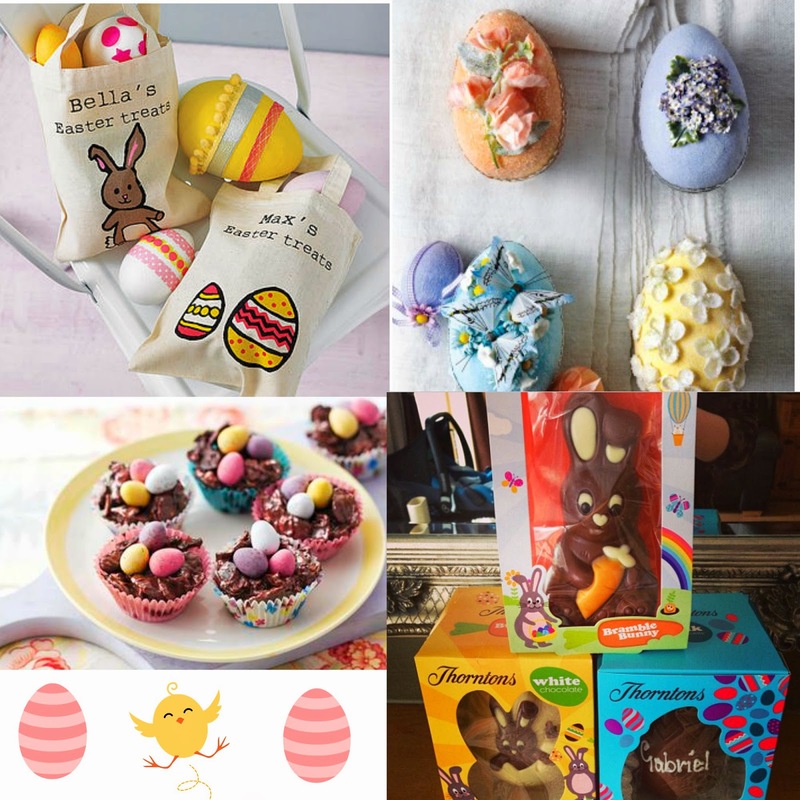 There is so much inspiration to be found including recipes and craft ideas, from decorating Easter eggs to egg shell plant pots! How could you not pay this beautiful website a visit? Want to create your own egg hunt? This kit is to cute for words. There are much cheaper alternatives but I am sucker for anything like this and it`s so pretty. Cadburys are offering Easter trails right across the county. So if you don’t want to do your own Easter egg hunt, then maybe visit their website and see if there is a hunt by you. Ok so what ever Egg Hunt you decide on what`s it without a personalised cute bag to put all your eggs in? What`s Easter without a Easter Bonnet? These kits on eBay are amazing value with literally everything in you will ever need to create your perfect bonnet. Knocking up a batch of Easter Rice Krispie cakes is also pretty much standard. Whatever you do, I hope you have a fabulous Easter with lots of chocolate and bunny rabbits!.Let me know if you try any of the above or if you have any other traditions I haven’t mentioned. Previous Perfect Christmas Roast Potatoes. Next Mexican Chicken Lettuce Trays!